Villa West apartments combine comfortable stylish living with a unique, friendly neighborhood setting. 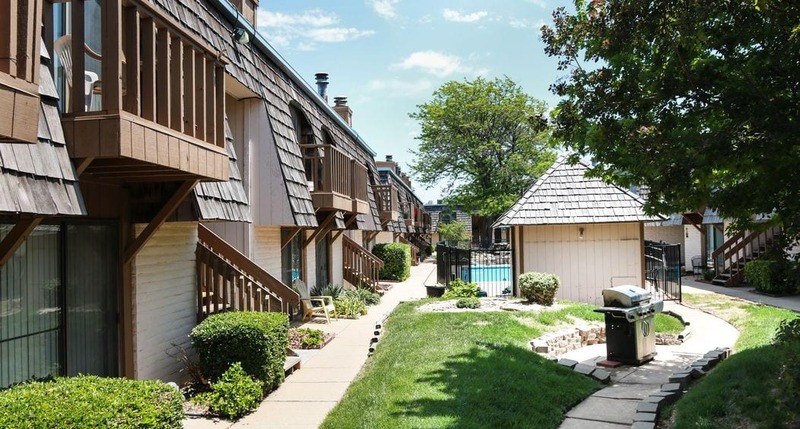 A small community built around a beautiful landscaped courtyard and pool. One and two bedroom apartments have private entrances and breezeways - central heat and air - ceiling fans - spacious walk in closets. Selected apartments have wood burning fireplaces and skylights. Our laundry facilities and storm shelter are easily accessible, 24-hour emergency maintenance and on site management. We are located across from a grocery store and close to Midtown and Town West.